Oxygen Mask BUY Elongated Oxygen Mask, Medium Concentration Oxygen Mask, 8110, Salter Labs Oxygen Masks. Elongated Style Oxygen Mask from Salter Labs is a Medium Concentration Oxygen Mask. This Salter Labs Oxygen Mask is transparent with a soft anatomical shape. The Oxygen Mask’s elongated shape is designed for long-term and edentulous patients. Equipped with an over-the-ear style, the Elongated Style Medium Concentration Oxygen Mask can also be used as an elastic head strap style mask. Equipped with aluminum nose clips, the Elongated Oxygen Mask provides a comfortable fit. Provides a better fit for long-term users and edentulous patients. Fits comfortably over the ears. 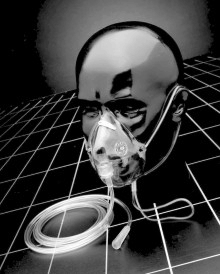 Eliminates need to move patient’s head to apply mask. Useful for head, neck and spinal case patients. Fits comfortably below the ears to hold mask snugly in place. Crush-resistant safety tubing prevents occlusion of oxygen supply. 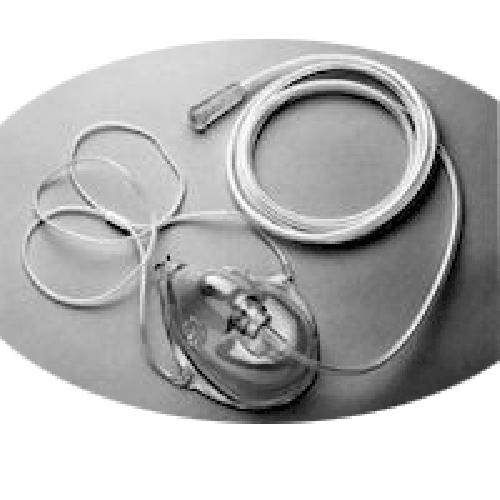 Salter Labs Elongated Style Medium Concentration Oxygen Mask Product Number: 8110. 7 foot three channel safety tubing.